Howard, the Twinbrook Safeway cashier dubbed the "World's Best Cashier" by his regular customers and fans, is back on the job. Those customers rallied behind him after he was mysteriously let go by the store for no apparent reason recently. Letters, emails, a union grievance hearing and hundreds of petition signatures later, Howard Abrams is now back behind his checkout register at the grocery chain's Twinbrook location. 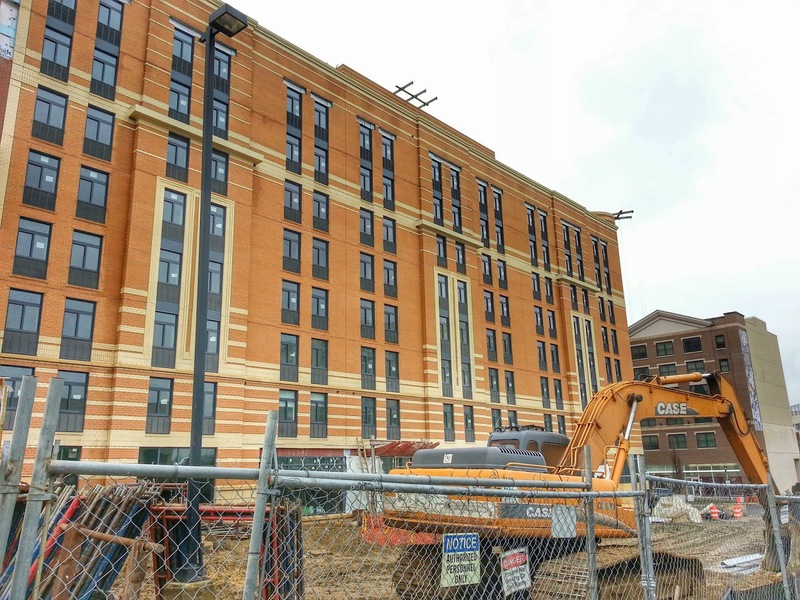 The established and still-growing Asian community in Rockville has shown its economic power strongly in the retail mix the JBG Companies are bringing to their new 275 N. Washington Street project. 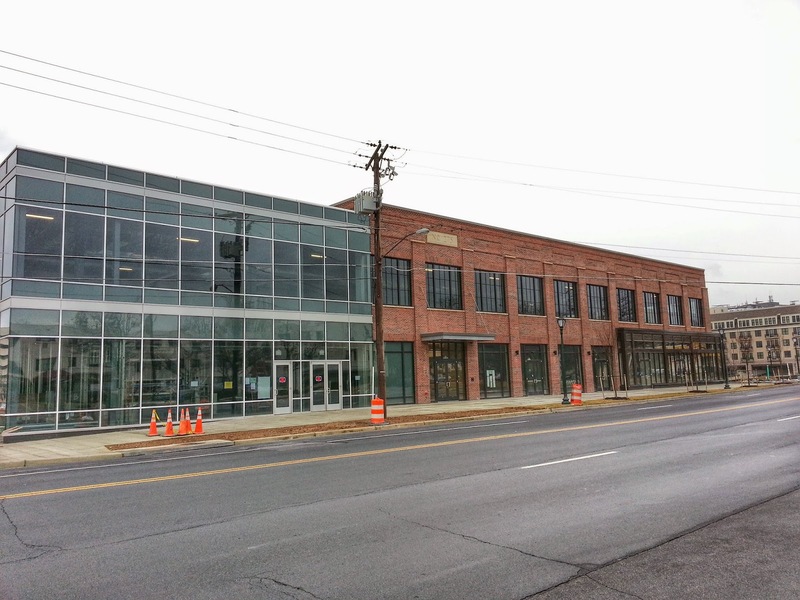 JBG has announced the mixed-use building's retail space is fully-leased, and that four Asian-owned businesses will be among the tenants. 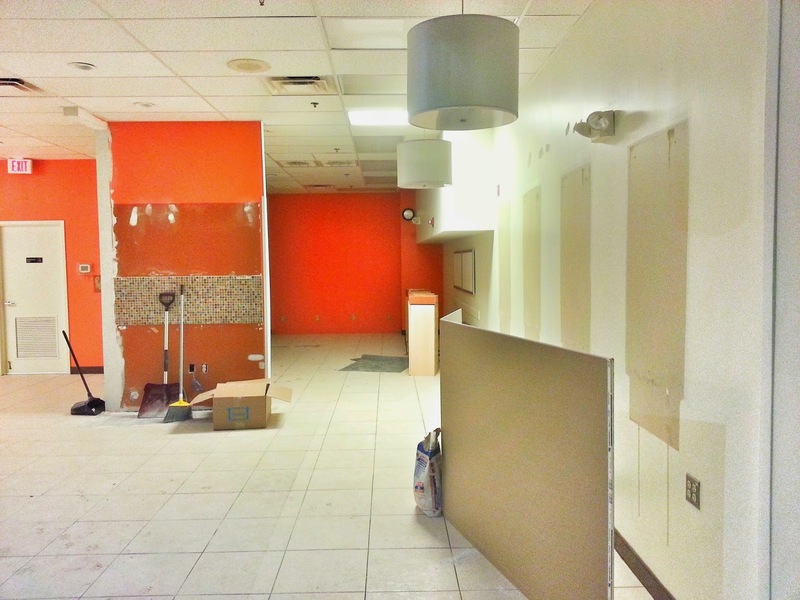 Those businesses will be French-Asian cafe Lavande Patisserie, Kung Fu Tea, Quickway Japanese Hibachi Grill and Amber Door Day Spa. 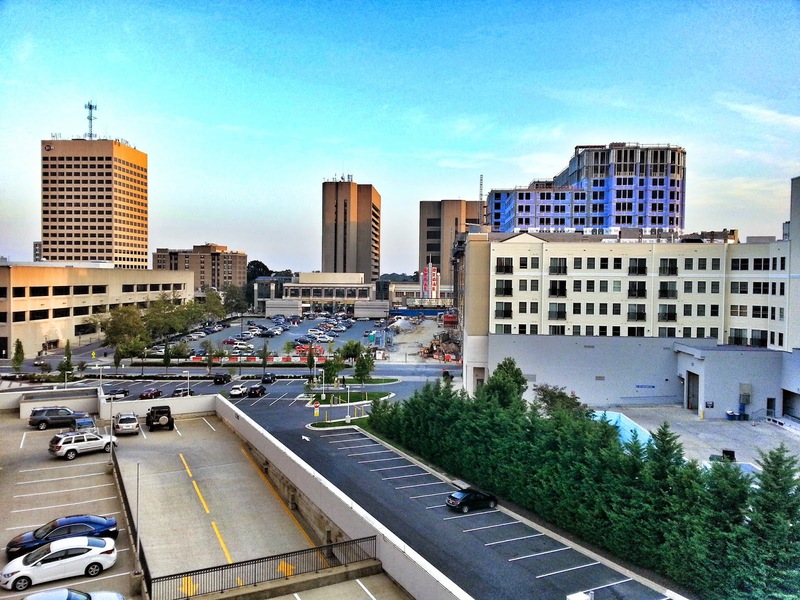 Rockville's Asian community has founded many businesses, and the city has increasingly become a major shopping and dining destination for the larger, regional Asian community around the DC area. 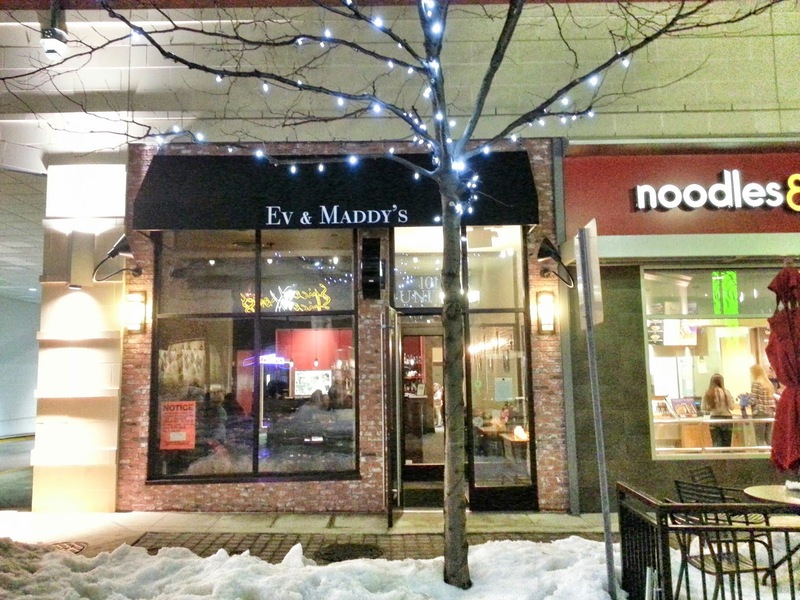 In addition to the many Asian restaurants nearby, there are several Asian markets in the vicinity - including one only steps away, and a new one in the College Plaza that replaces the venerable Magruder's grocery store. 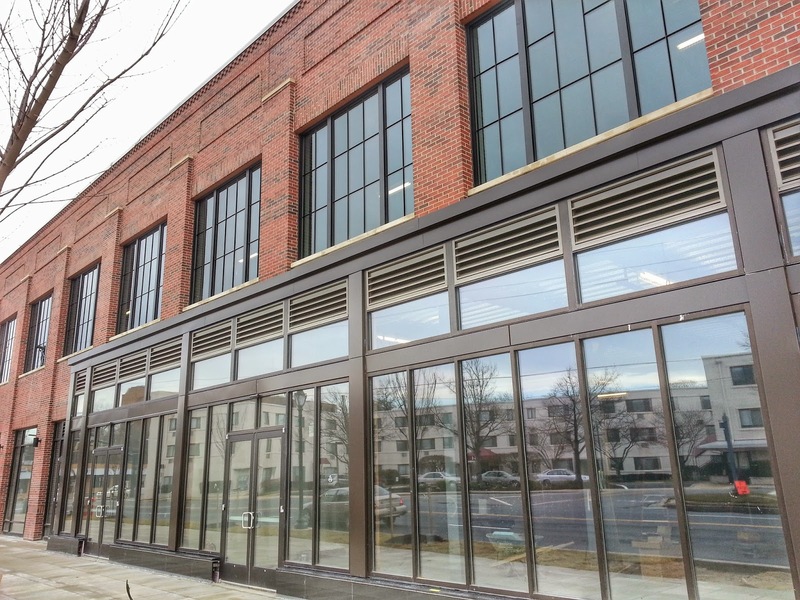 This synergy, which will be enhanced by the new businesses, is creating what JBG's Anthony Greenberg calls "an organically emerging district" of Asian-owned businesses near downtown Rockville. 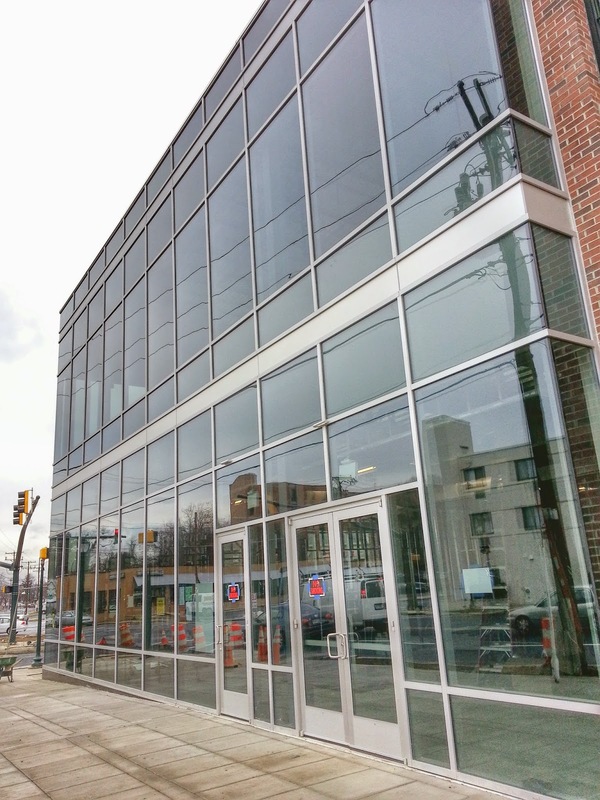 New additions in the adjacent Rockville Town Square include Peter Chang's Bistro, and the Asian-owned Hair Design Zone, both opening this spring. 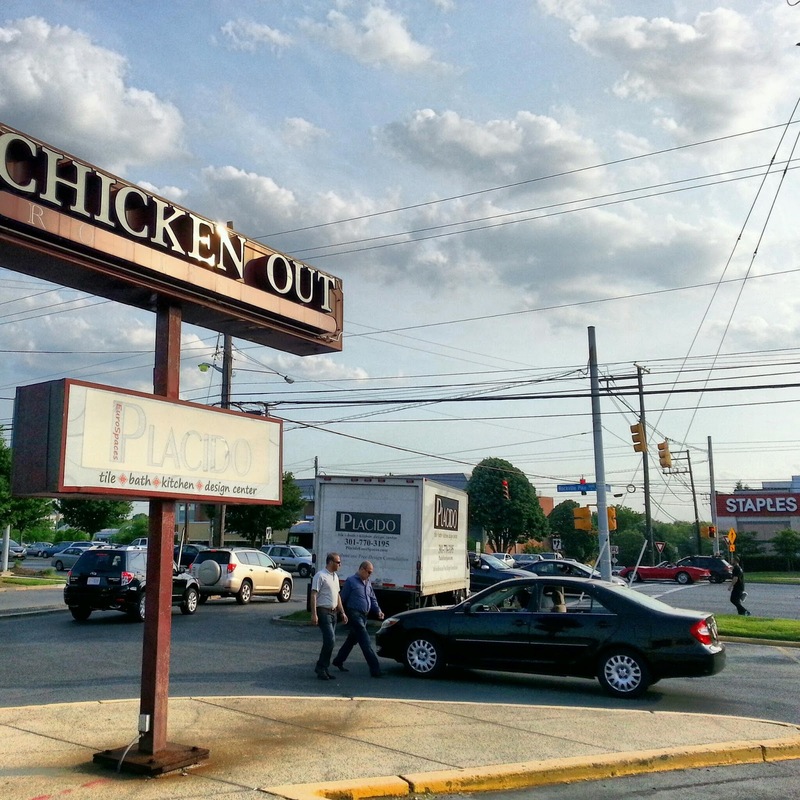 Quickway Japanese Hibachi founder Bob Liang says the diversity of Rockville, and 275 N. Washington's town center location, were the major factors in deciding to open his 10th area location here. 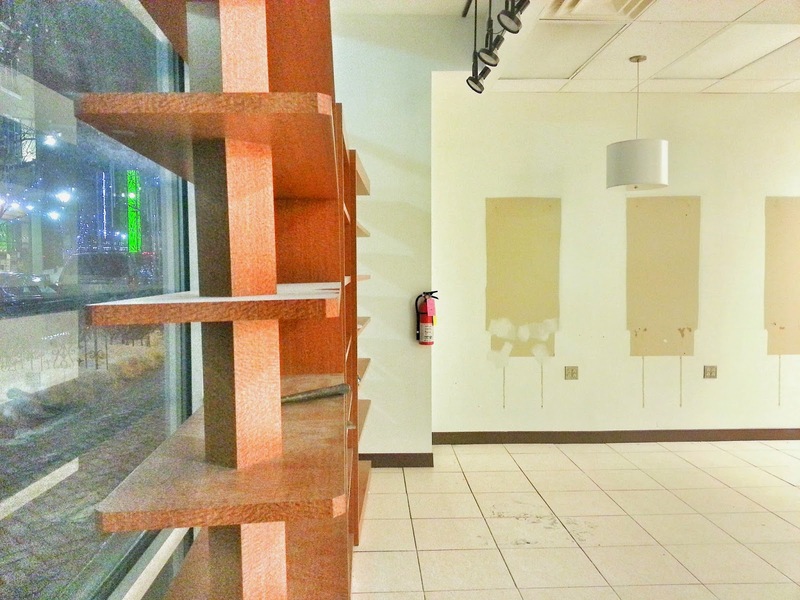 The restaurant will feature fast casual Japanese cuisine. Lavande Patisserie is owned by mother and son Julie Yi and Andrew Liang of Gaithersburg, and will serve breakfast, lunch and French pastries with an Asian twist, including kumquat fruit tarts. 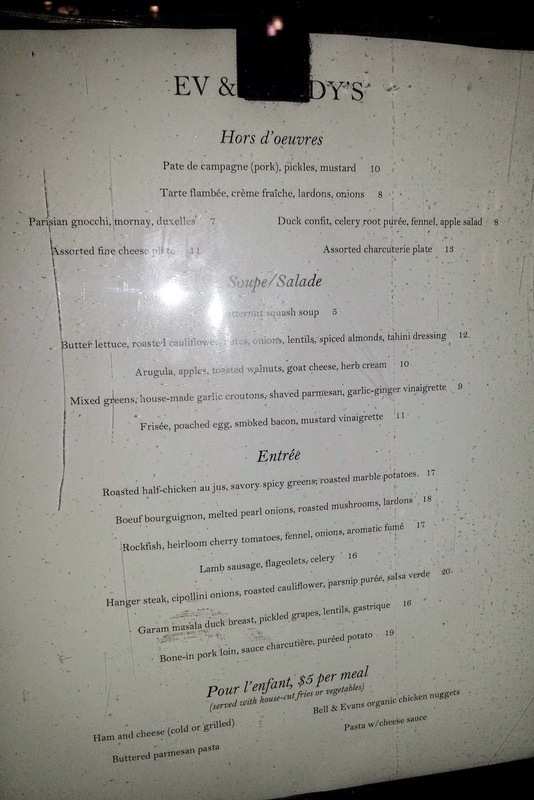 "Buy local" will be a mantra for Lavande. "Everything is fresh and purchased within 50 miles, nothing is store bought or pre-processed,” says Liang. 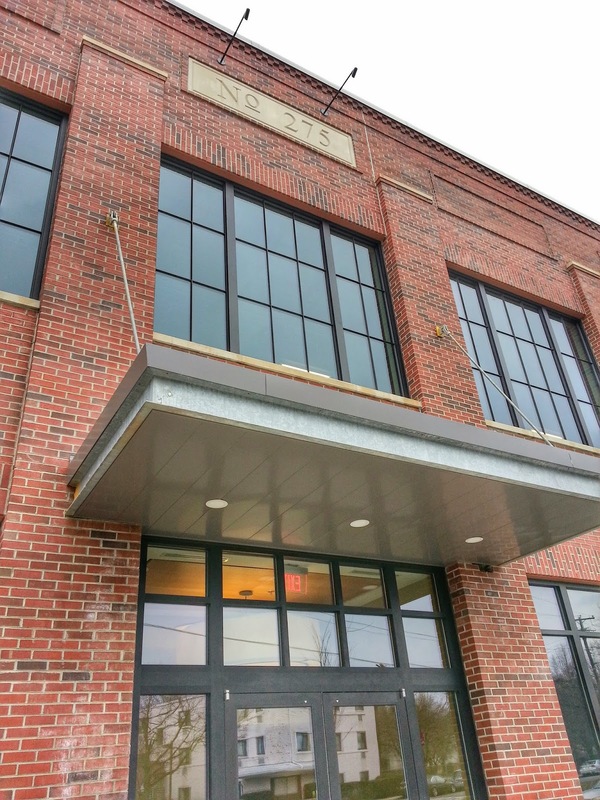 Meat butchering, flour milling and more will be done in-house in this farm-to-table café. Kung Fu Tea is a New York-based chain serving tea beverages, and this will be its first DC-area location. Amber Door Day Spa is locally owned, offering massages, facials, body treatments, makeup and other spa services. 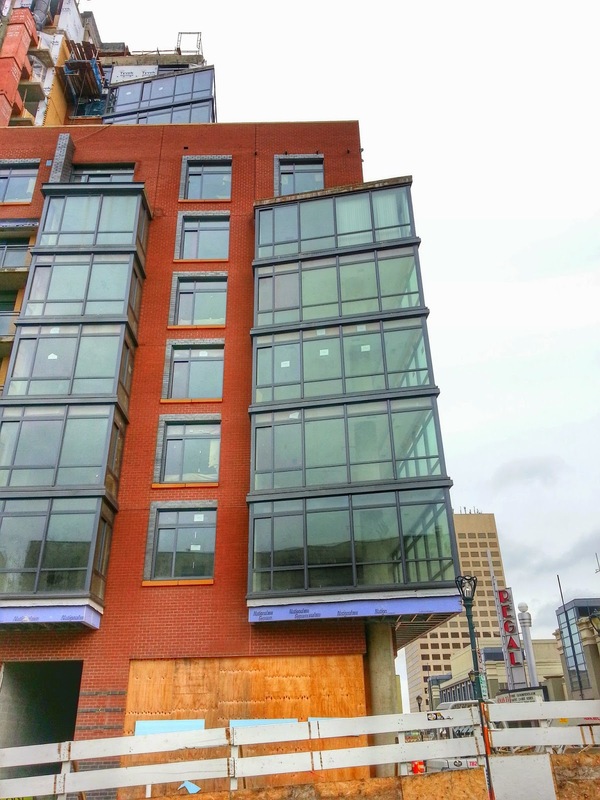 All four businesses are moving in, and expect to open this spring. The project's anchor tenant is Bank of America, and 12,000 SF of Class A office space is still available for lease on the building's second floor. 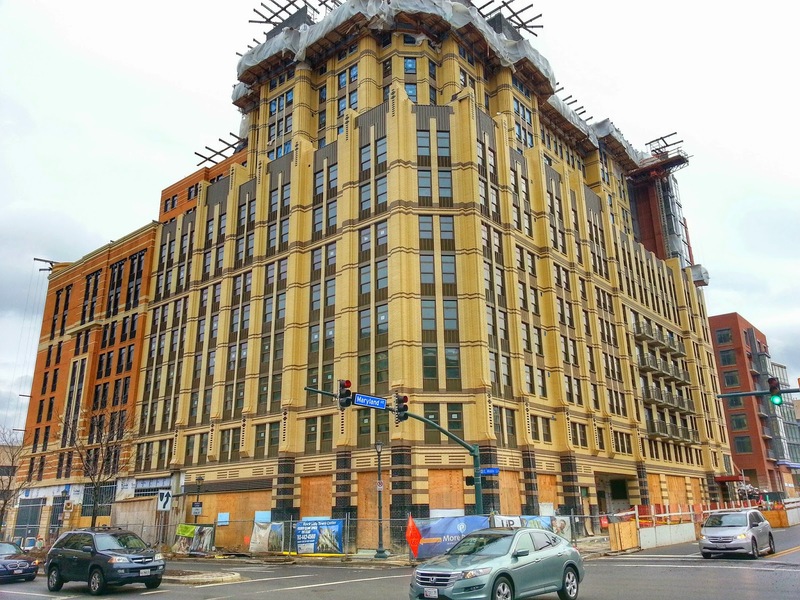 This is one of many projects Chevy Chase-based JBG is developing in Rockville. Corridor Cities Transitway Project Manager Rick Kiegel will host a public meeting tonight in North Potomac at 7:00 PM. The meeting will be at Stone Mill Elementary School, located at 14323 Stonebridge View Road in North Potomac. The CCT is a transit project that was recently switched from light rail to Bus Rapid Transit (BRT). Its travel time from Clarksburg to Shady Grove Metro station is estimated to be a sluggish 48 minutes. At that rate, a car in rush hour traffic could beat it there. Tonight's meeting will discuss the community impacts of the CCT on the North Potomac area, but the route also extends through the City of Rockville. King Farm, in particular, will be impacted by the route. Only a portion of the full route is being discussed right now, as developers are anxious to qualify for the density at Science City (Belward Farm, etc.) that only the CCT can permit. But with ridership potential now seriously reduced by the decision to switch from rail to bus, its effectiveness in managing the major traffic impacts of the Science City plan is in doubt to say the least. Even on this short segment, estimated travel times are about three times slower than current automobile travel times. In fact, even the existing, humble Ride On bus beats the CCT between Belward Farm and Shady Grove by a whopping ten minutes! Embarrassing. What is the justification for this taxpayer boondoggle, other than the financial and political benefits accrued to the developers and the politicians they help get elected to office? Hairstylist Juan Ma is bringing 10 years of experience at Abanai, one of the top salons in Osaka, Japan, to Rockville Town Square. 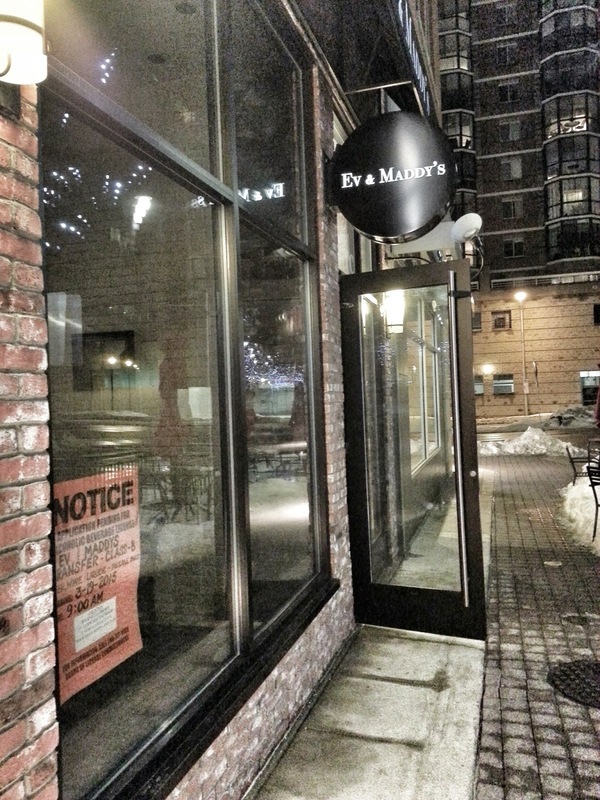 But first she needs a salon, and that work is underway at 141-C Gibbs Street. Hair Design Zone will aim to bring the latest hair designs and styling methods from Japan and America to Rockville, offering haircare, cuts and coloring. 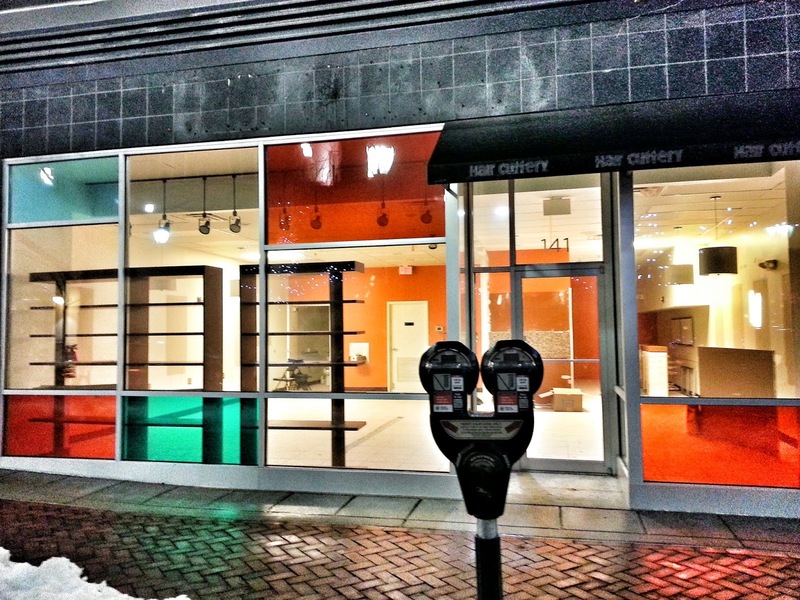 The salon replaces The Hair Cuttery, which closed last August. 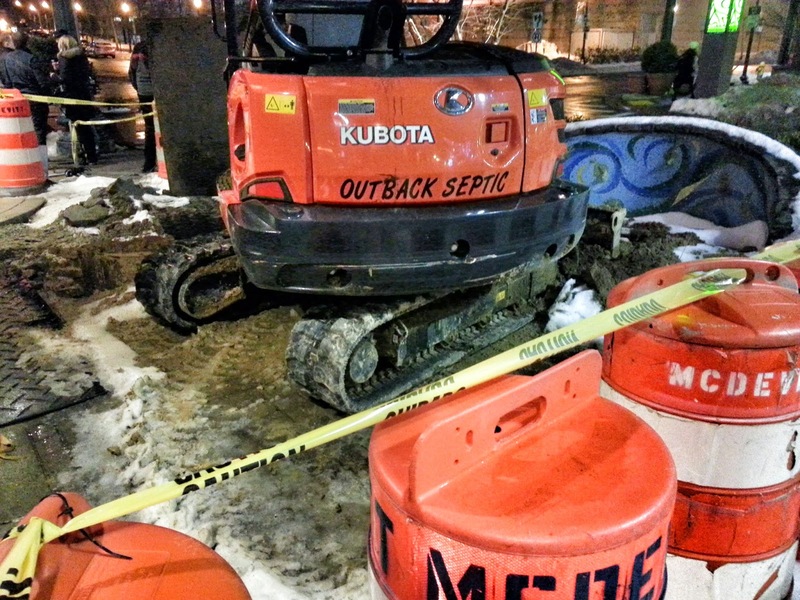 A sidewalk outside of Gordon Biersch was blocked with what appeared to be sewer/plumbing repair equipment last night. Heads up if you are walking around there today. 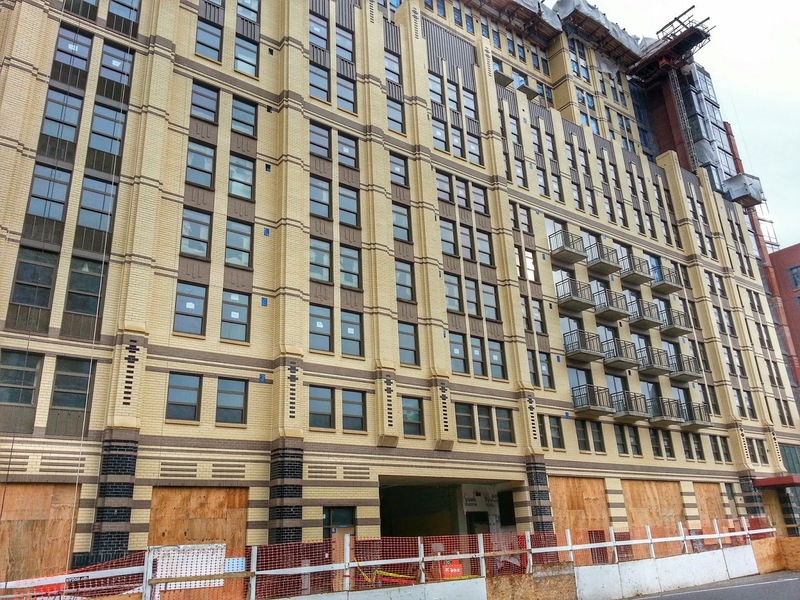 The demolition reprieve the Sullivan and Associates-designed building at 5 Choke Cherry Road received from Rockville's Historic District Commission was short-lived. Last night, the commissioners voted unanimously that the structure did not merit historic designation by the city. Jack Sullivan has been recognized as one of the most significant architects in the history of Rockville. The motion was made by Commissioner Anita Neal Powell, and seconded by Commissioner Craig Moloney. Commissioner Jessica Reynolds urged the city to begin considering which of Sullivan's buildings in Rockville should receive such designation, to be preserved from demolition in the future. Moloney said he concurred. The vote removes one of the last hurdles for developer JBG's planned Upper Rock retail project to proceed. The 2015 election is underway in Rockville, as Brigitta Mullican has announced she is running for a City Council seat. Mullican, a retired budget analyst with the U.S. Department of Health and Human Services, has run for the council and for the office of Mayor in the past. The Twinbrook resident has been very active in the city, serving as a Planning Commissioner, past president of the Twinbrook Civic Association, and most recently, as President of the Rockville Sister City Corporation. Mullican's campaign has a Facebook page. Winners of this year's election will be the first in Rockville history to serve 4-year terms, following a a charter amendment by the current Mayor and Council last July. If you are interested in running for Mayor or a Council seat, a Candidate Information Packet is available now on the city's website. 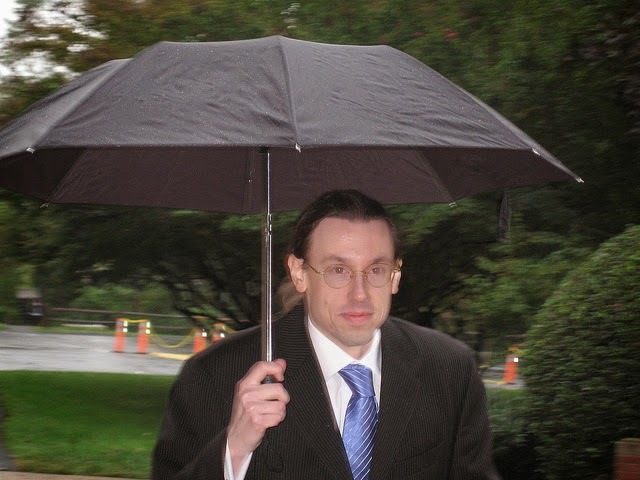 Candidates running who have press releases can send them throughout the campaign to Rockville Nights by email to robert1999 [at] hotmail [dot] com. The filing deadline to run is Friday, September 4, 2015. 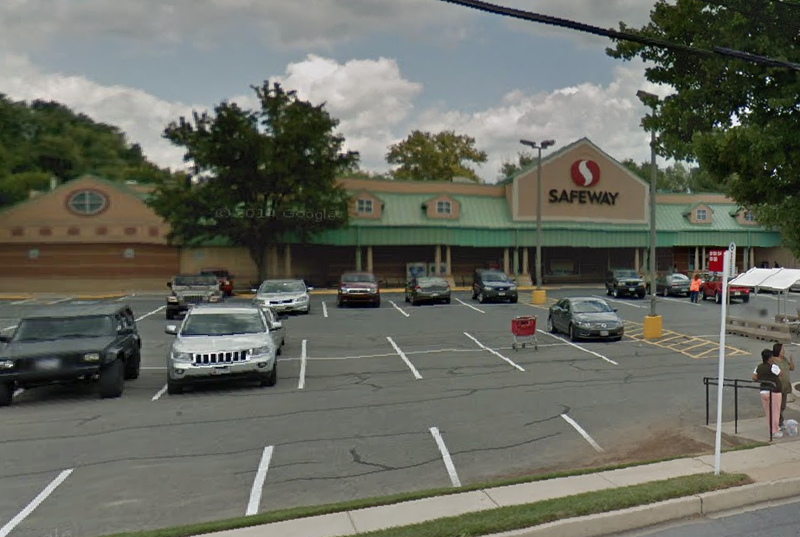 462 customers of the Twinbrook Safeway on Veirs Mill Road have signed the Reinstate Howard Abrams' Employment Status at Safeway petition online, nearing the goal of 500 signatures. You can still add your signature to the list. Abrams was apparently terminated while on his annual vacation, and unjustly so in the view of his loyal customers and the grocery employees' union, which is contesting the move. Many customers have threatened to shop elsewhere if the "World's Best Cashier" isn't reinstated soon. True or false: Are millennials less passionate about driving, and American car culture, than their elders? You'd certainly get that impression from the media. 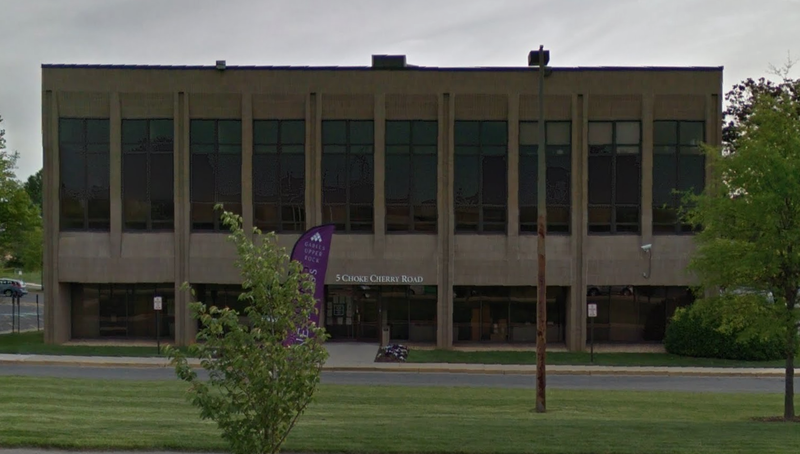 But the full parking lots at Richard Montgomery High School and Montgomery College might make you wonder why those claims don't match what's happening on the ground in Montgomery County. With all due respect to Father Ripper, it turns out the answers can indeed be found in the MTV video games. Automotive News reports that a new MTV survey of 3,600 millennials completely debunks the idea that Generation Y has given up driving. Rather than confirm the assertions that millennials prefer transit or bikes to cars, the study indicates they are actually driving more than their parents did. MTV's "Millennials Have Drive" survey found that the "average number of miles driven by millennials is 934 miles a month compared with baby boomers’ 544 miles and Gen X’s 790 miles." Meaning millennials are driving nearly twice as far per month as their parents. Do millennials, as we've been assured, prefer public transportation to driving their own vehicle? Not according to the survey results, which show that 80% of millennials drive as their primary form of transportation. How about that canard you've heard so often in recent years, that millennials would rather have an iPhone than a car? The MTV study slices and dices that claim, as well. 2 out of 3 respondents said they would rather give up social media for a day than their car. Even more said they'd give up texting for a week, before giving up their car for the same length of time. If you've seen how many 11-year-old kids are disrupting movie theaters with their smartphone screens, you already know how absurd the "iPhone over car" line was to begin with - kids already have these phones before they get their drivers licenses. What makes the MTV study far more accurate than previously-hyped surveys? The sample size of 3,600 millennials, for one. Zipcar's oft-cited "We prefer iPhones to cars!" survey only polled 303 millennials. MTV's study is more credible, as a result. The APTA "Millennials and Mobility" study also surveyed far fewer millennials, and, interestingly, the Rockefeller Foundation won't even say how many millennials it surveyed - despite the media running wild promoting their anti-car "results." Second, MTV's study is new, and was therefore not skewed by the economic downturn that crimped millennials' spending ability. The recession was used and abused by many a "War on Cars" champion to claim Americans of all ages were driving less, just as states making 16-year-olds wait longer to obtain licenses was twisted to say "kids are less interested in driving." Now we know they are driving more than their parents. Bring me up, Carson! Winter Storm Octavia is expected to leave Rockville by 6:00 AM this morning. Don't try to convince the National Weather Service of that, as its Winter Storm Warning is scheduled to remain in effect until noon today. The good news is that accumulation has not reached the maximum forecast of 8-10" in Rockville; the bad news is that it is currently 13° F in Rockville, meaning that what's down isn't going anywhere soon. 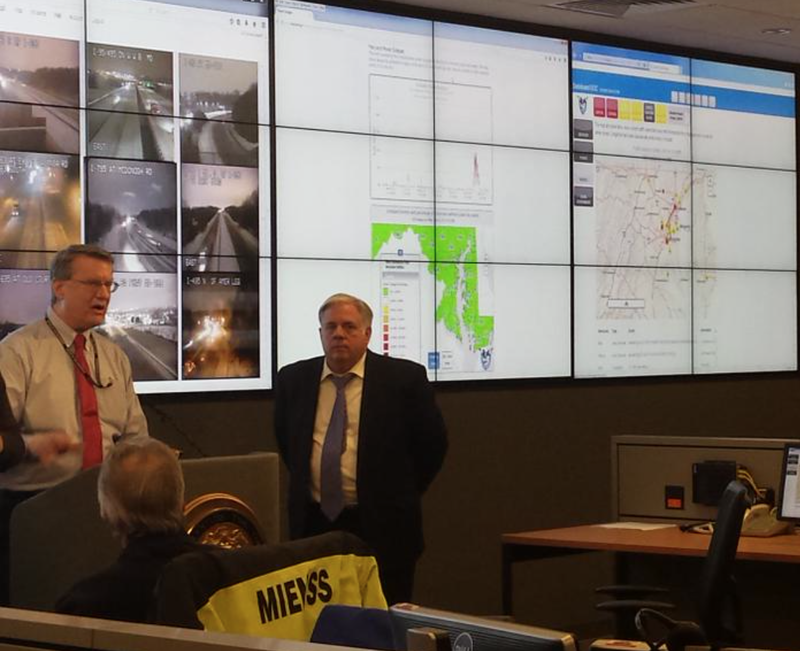 "Stay off the roads, if at all possible," Maryland Governor Larry Hogan advised residents at a press conference at the state's emergency management agency last night. Hogan is tackling his first major weather event as governor. Montgomery County Public Schools are closed, as is the federal government. Metrobus service is suspended at this hour "until further notice." Check their alert page throughout the day for changes in service. Metro subway is currently expected to operate after 5:00 AM. Ride On buses will operate on the S "snow" schedule today. Expect delays on all routes. MARC and MTA Commuter Bus are both impacted by the storm. Camden and Brunswick Line, no service. Penn Line, "S" schedule. Only trains with an "S" under the train number in the timetable will operate. Some trains may be cancelled due to a lack of equipment. Only Bus 201 (Gaithersburg-to-BWI) will operate today. Expect some sun through the clouds by the late morning. We'll reach a high of 28° around 4:00 PM, and winds will range from 4-7 MPH. Overnight, it will be cloudy with a low of 10° by sunrise on Wednesday. Winds will be light. Stay tuned to @RockvilleNights on Twitter for updates. On this President's Day holiday, Rockville is not without its own U.S. Presidential history. Such as the day of August 26, 1814, when President James Madison traveled through Rockville on his long escape from the burning White House. President Madison, and General William Henry Winder, stopped by the Montgomery Courthouse in Rockville after crossing the Potomac at Riverbend Park, before continuing on to Brookeville. We just got (temporarily) through the soap opera that was (and will be) the proposed Independent Transit Authority, which saw Montgomery County try to sneak a bill through in Annapolis to enable such a tax authority to be created. 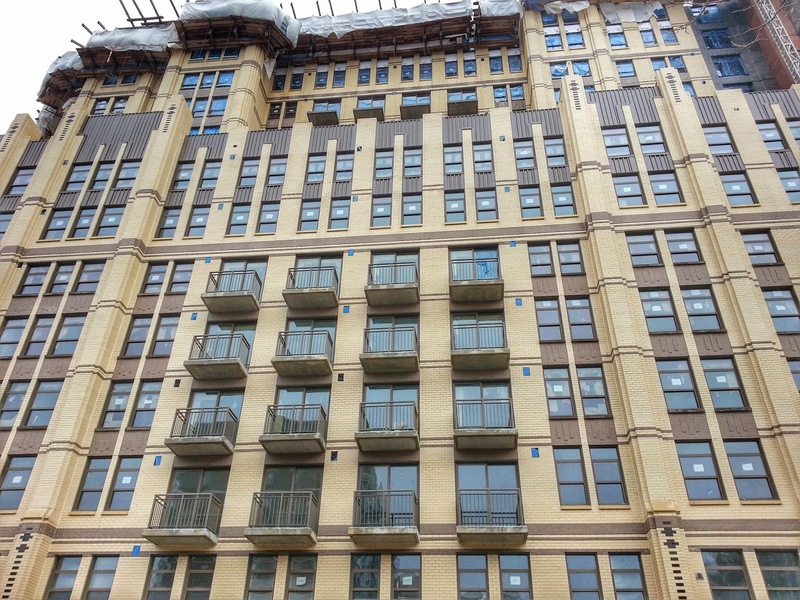 Less than two weeks later, the MoCo political machine is at it again, quietly handing off another developer-friendly bill to the General Assembly. Bill MC/PG 105-15 (House Bill 652) would change the consecutive term limit provisions for the Maryland National Capital Park and Planning Commission. Presently, commissioners who serve as Chair or Vice-Chair of the body may not serve more than 2 consecutive 4-year terms. HB 652 would change that limitation, allowing a commissioner appointed from Montgomery County to serve two additional consecutive terms, as long as he or she serves as Chair or Vice-Chair. Since commissioners are appointed by the County Executive, and not elected by voters, this would give a tremendous amount of political power to a Chair who could serve for 16 years in the role - longer than most would serve in any single county office. Christina Ginsberg, a Rockville resident and former president of the Twinbrook Civic Association, says the provision could create a "development czar who would have more power and a longer term than our elected officials." The bill had its first reading in Annapolis yesterday. I can recall no public announcement or media coverage of this significant change being proposed, other than on the legislative and delegation websites. Even more troubling: no matter how many ways I try to search for this legislation on the County Council website, I get no results. This despite Council attorneys having apparently commented on the issue, according to a transcript of a December meeting of the commission. So much for "open data." By the way, the commission itself, not surprisingly, is in favor of MC/PG 105-15). With developers wielding more influence in county politics than ever before, it's time to ask serious questions about this legislation. A Mayor and Council worksession is scheduled for 7:00 PM tonight at City Hall, regarding the Rockville Pike plan. This first session will concentrate on roadway design and building heights, two topics likely to have the most impact on city residents in the future. There is supposed to be a Community Forum segment prior to the worksession. 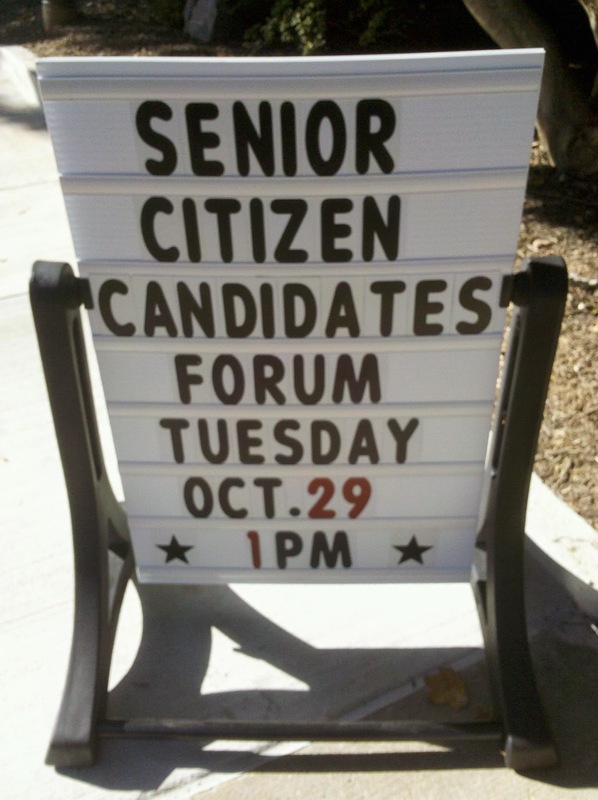 Call the City Clerk's office at 240-314-8280 today to sign up to speak. The Rockville Planning Commission tonight will take up a Zoning Text Amendment requested by the Mayor and Council that would streamline the process by which a Sectional Map Amendment could be filed for a historic property. Instead of having the Historic District Commission forward a recommendation to the Mayor and Council for approval, the HDC could file it directly. A public hearing would still be held by the Mayor and Council before a final decision would be made. 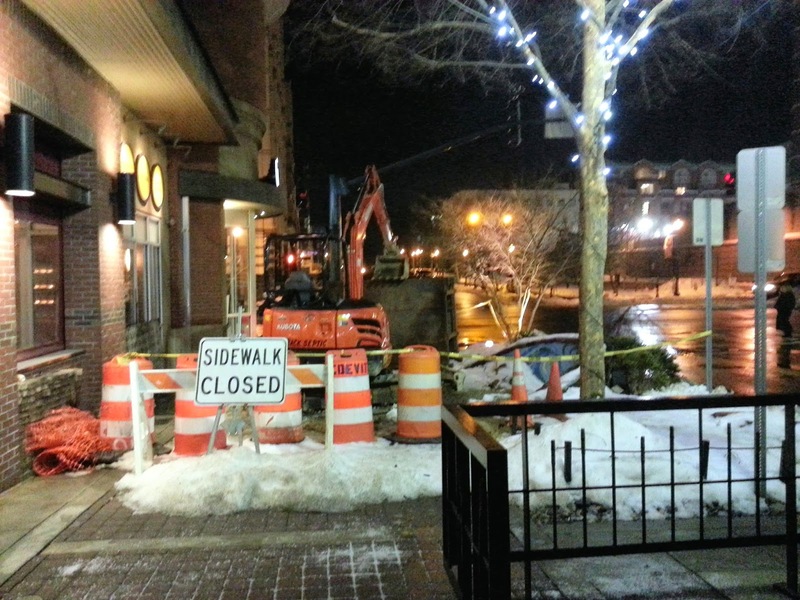 Tonight's meeting will also continue the discussion of the Rockville Master Plan scope of work. It will be held at 7:00 PM in the Mayor and Council chambers at City Hall. The meeting will also be broadcast live on Rockville Channel 11, and streamed on the city website. The effort to replace Rockville's current school capacity standards with the weaker Montgomery County standards failed at last night's Mayor and Council meeting. In the face of overwhelming resident opposition and mobilization, Councilmember Tom Moore withdrew his proposal before it went to a vote. Councilmembers Virginia Onley and Beryl Feinberg declined to support the measure, despite having been members of the Team Rockville slate with Moore and Councilmember Julie Palakovich Carr. Carr had seconded Moore's motion to adopt the new standard prior to its withdrawal. Residents turned the meeting's Community Forum into an impromptu public hearing prior to the decision. Susan Prince presented a petition opposing the changes which had 362 signatures, and she and others read comments from residents who could not attend. 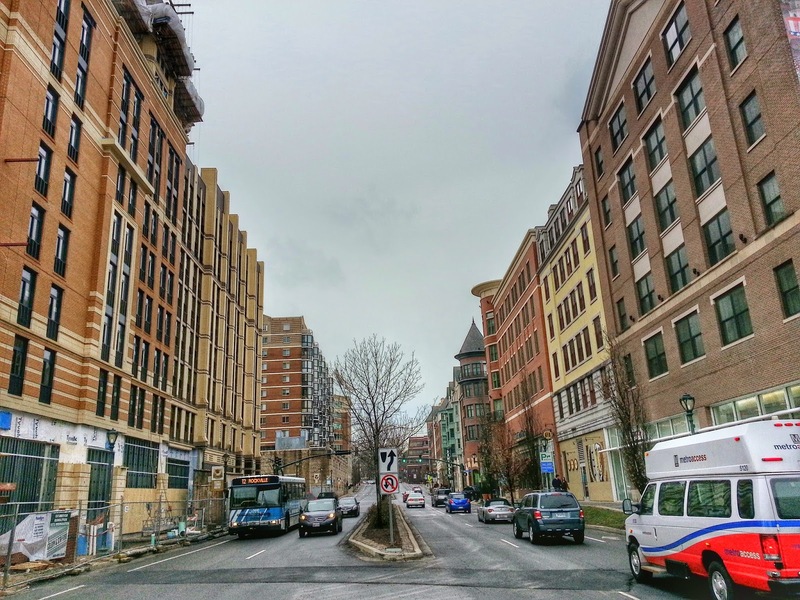 "Rockville is a family town, not a megacity," one wrote. Resident Jack Gelin, testifying in person, said such a change "poorly serves our children, and violates the civic compact." Several Rockville Planning Commissioners testified against the changes, including Chair Don Hadley, and Commissioners Anne Goodman and Jack Leiderman. Citizens from the West End, East Rockville and Twinbrook turned out in force, and via petition. Some developers and development attorneys who would benefit from the changes were present in the chambers during last night's meeting, signaling the urgency behind the proposed weakening of the APFO. Even the county Gazette newspaper editorial board had elbowed its way into the city's debate, endorsing Moore's proposal to adopt County standards. Mayor Bridget Newton, who had opposed the changes, said it was time to "stop this conversation, and start a new conversation" at the countywide level, as opposed to arbitrary action by the city. Rockville is expected to take part in a March 7 event hosted by Montgomery County Councilmember Roger Berliner, which will bring stakeholders together for a dialogue on infrastructure, including school capacity. Feinberg and Onley agreed with Newton that is would be best to wait until that new process plays out before the city takes any action on school standards. Moore expressed concern that the possible changes would be tabled permanently, and sought to have the matter placed on a future agenda. First he suggested March 16, and - after colleagues noted jam-packed agendas in the spring - then amended that to the soonest possible time for staff. His motion failed 3-2, supported only by Palakovich Carr. Moore said the issue could be lost without placing it on an agenda. Onley replied incredulously, "this is absolutely not going to get lost." Newton concurred, recalling that the APFO has been a hot topic during every term she has served as Mayor or councilmember. Feinberg said she was swayed by residents' testimony, and conversations with former city leaders to oppose the changes. Former Mayor Larry Giammo and former Councilmember John Hall were among those who opposed the effort to adopt the county's 120% over-capacity standard, and its measurement of crowding by cluster rather than individual school. Both were in office when the measure was passed a decade ago. Team Rockville has not always been the monolith many residents feared when the slate was entirely elected, minus Mark Pierzchala, who was defeated in the mayor's race by Newton. Onley and Feinberg have often broken with their slate and voted with Newton on a variety of issues. The inevitable question now is, when will the APFO issue be raised once more, forcing residents to mobilize yet again, despite clear public opposition to changing the standards? 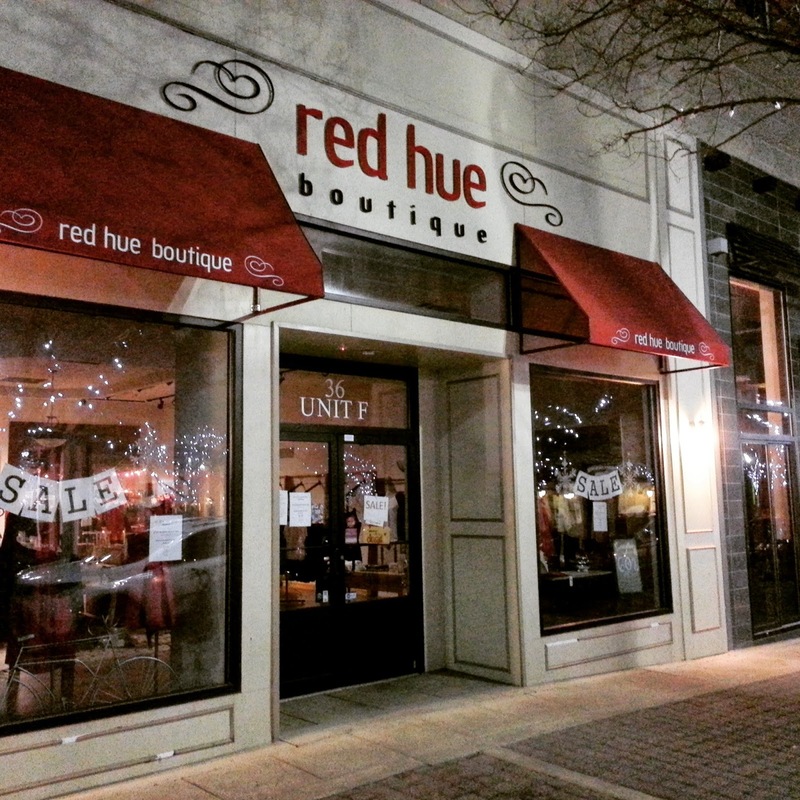 Red Hue is closing its Rockville Town Square boutique on February 15. The owners say their apparel will still be available online, and through other retail outlets in the area. This is the most recent of many closings at the Federal Realty property, which some say is the result of the parking setup there. 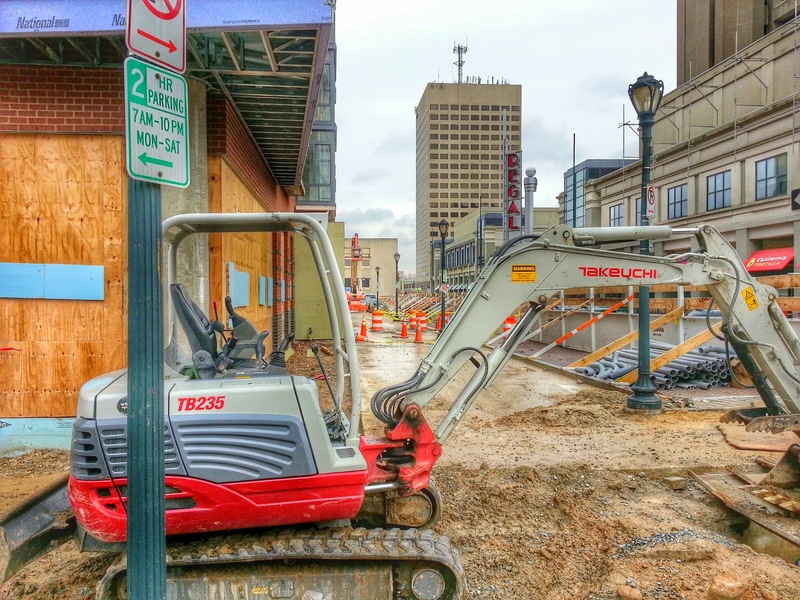 Residents and city officials alike have expressed concern that Rockville's flagship retail destination could lose business to new competitors Pike & Rose and Downtown Crown, as well as RIO/Washingtonian Center, all of which offer limited (2 hours at Pike & Rose) or unlimited free parking. Meanwhile, Rockville's venerable Radio Shack store at 1600 Rockville Pike is now confirmed to be on the bankrupt company's closure list. The store has gone into "Everything Must Go!!!" mode, with savings of 30-50% off. 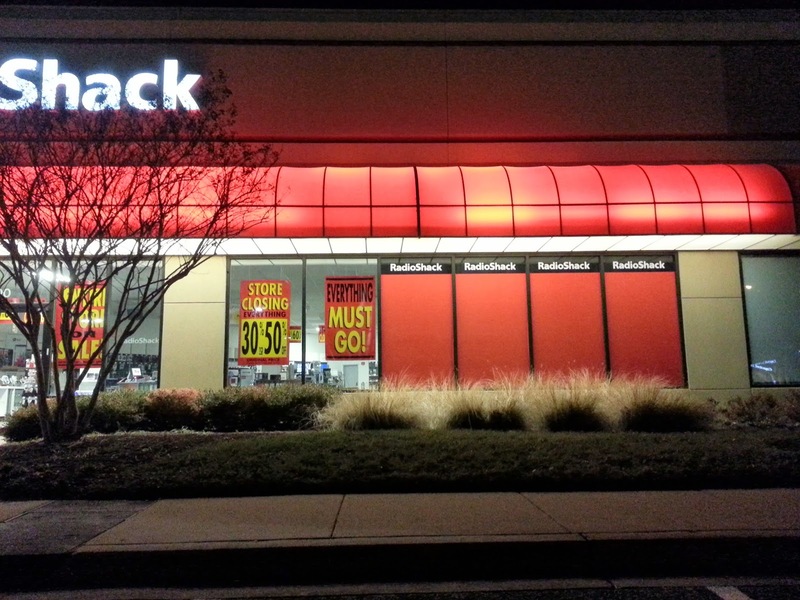 IS ROCKVILLE'S RADIO SHACK ON THE LIST OF STORES TO CLOSE? 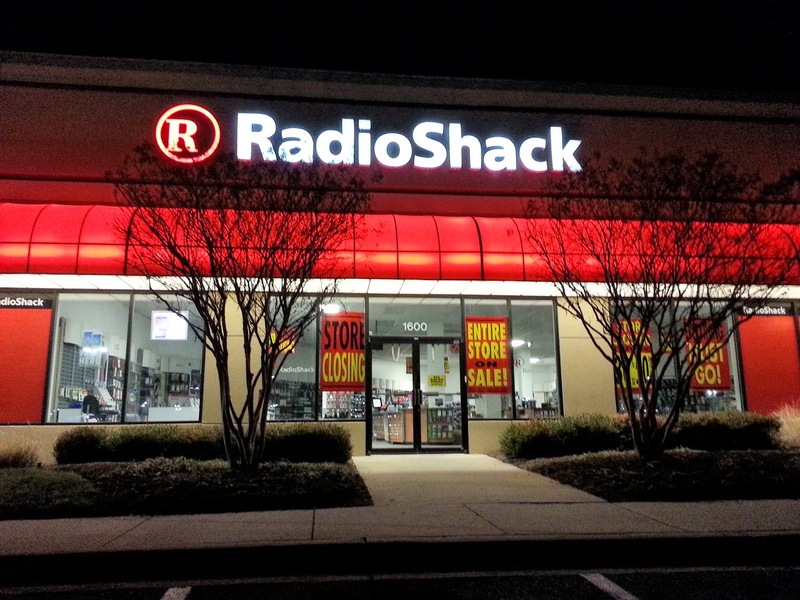 The bankruptcy filing of Radio Shack has coincided with an agreement the struggling company reached with General Wireless, which will acquire up to 2400 of the electronics retailer's stores. According to a Radio Shack press release, Sprint will operate a "store within a store" inside up to 1750 of the stores GW takes over. But what about the rest of Radio Shack's 4000 company-owned bricks-and-mortar outlets, including the one in Rockville? 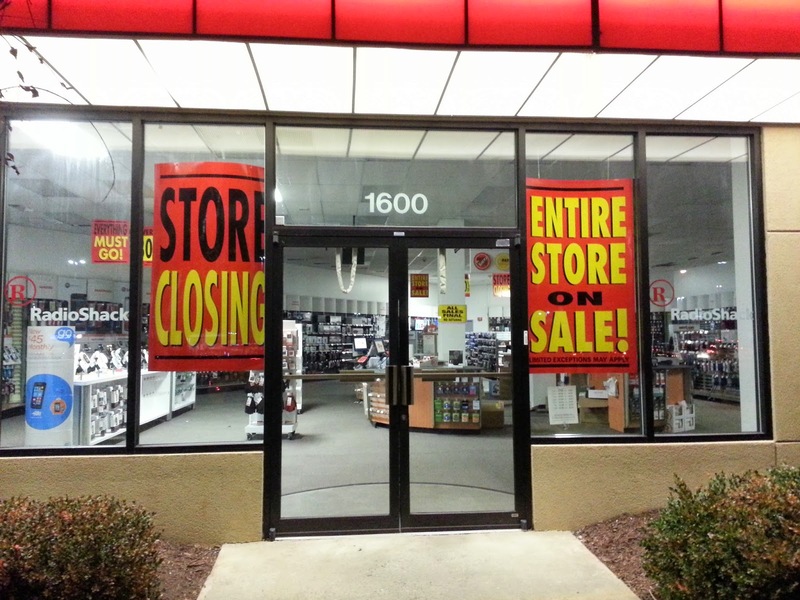 The company says the Rockville store is indeed on the chopping block at the moment, and that is the Radio Shack at 1600 Rockville Pike. Radio Shack says the Rockville location is one of the 1600 stores it will "potentially" close, but they are not saying when. What they have confirmed is that stores closing will have to sell off their remaining inventory. 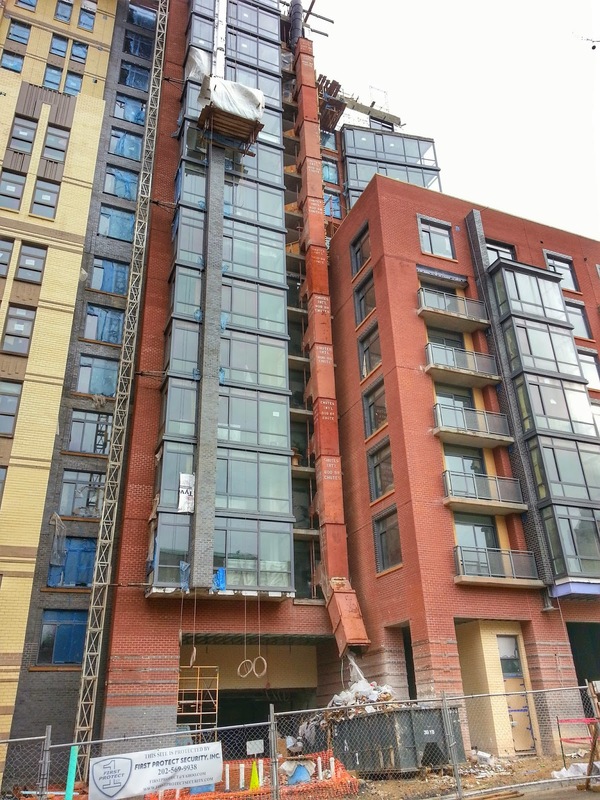 Here is the latest progress at the Duball construction site in Rockville Town Center, in front of the Regal Cinemas. 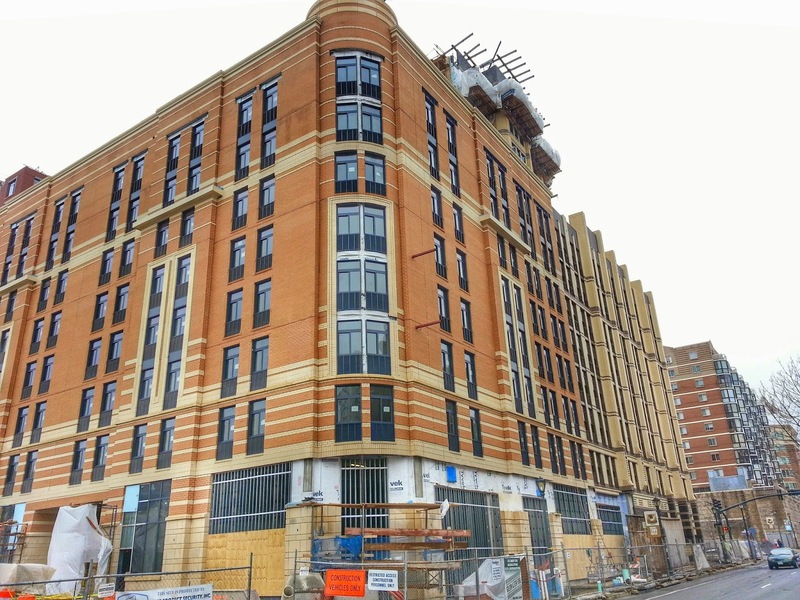 This two-in-one project contains The Upton luxury apartments and Cambria Suites hotel. 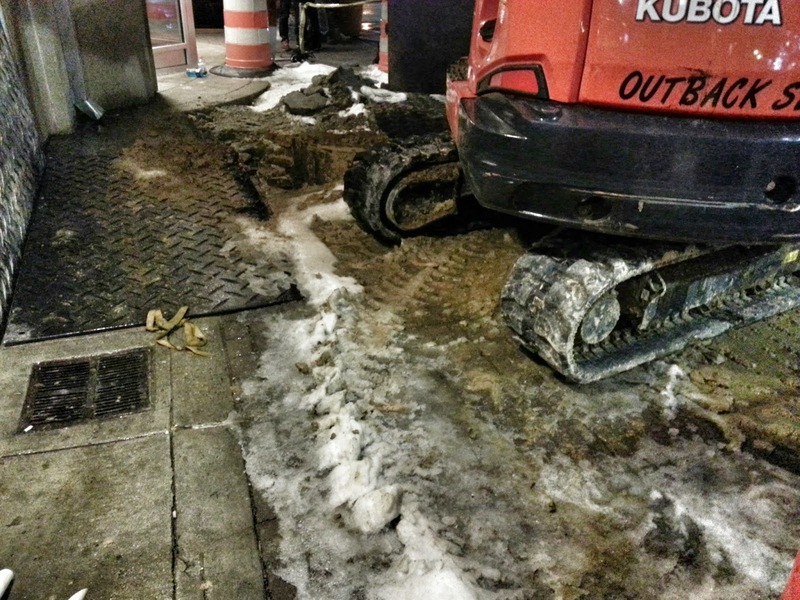 A Monday night discussion about proposed changes to Rockville's Adequate Public Facilities Standards, which would align the city's school capacity standards with Montgomery County's weaker ones, did not appear to change the mind of any councilmember. Councilman Tom Moore remains the strongest proponent of the changes, which would raise the school overcrowding limit to 120% of capacity from today's 110% under the city's APFS. They would also measure overcrowding by cluster averaging (like the County), rather than the city's measurement by individual school. The current standards, Moore said, have been an "epic fail." "The evidence is in, it was an interesting experiment," he said, but they have not prevented overcrowding, in his view. Mayor Bridget Newton disagreed. "We would be in a crisis situation as other schools [in the county] are" without the APFS, she argued. Newton remains the one certain vote to oppose the change. "I haven’t yet seen from you all what moving to 120, and cluster averaging, what that is going to solve?" she asked her colleagues. "What is the reason for making that change? What is driving that?" Councilmember Virginia Onley said she does not favor the approach of having the city change its own standards, but did say she is concerned about lack of growth in the city. 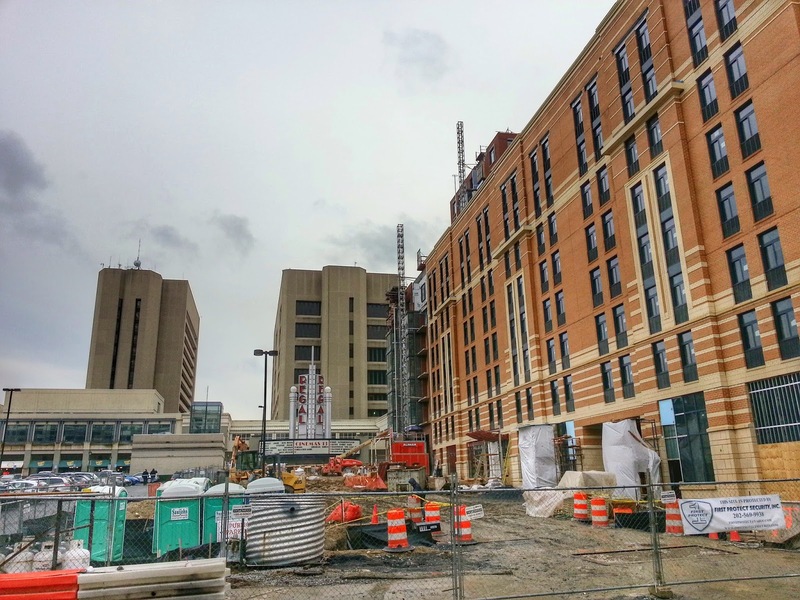 Suggesting that Rockville Town Square is underperforming, Onley said Rockville's competitors, Downtown Crown, Pike & Rose, and RIO/Washingtonian Center are a threat. 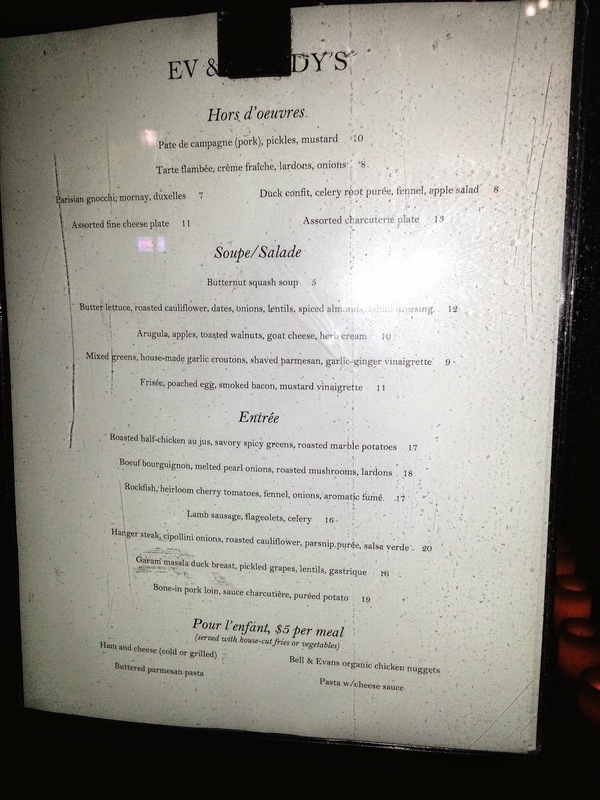 Pike & Rose offers 2 hours of free parking, and the others don't charge anything for parking. 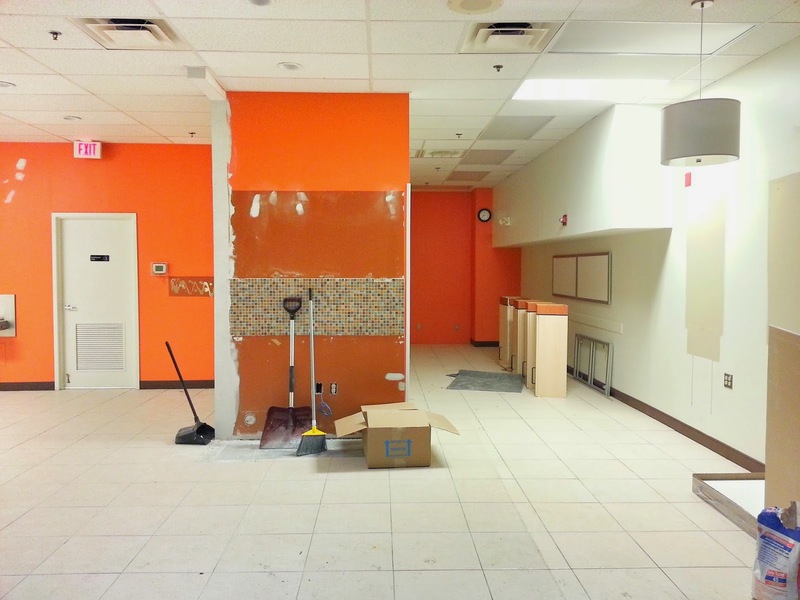 Several retailers and restaurants have closed in Rockville Town Square in recent months. 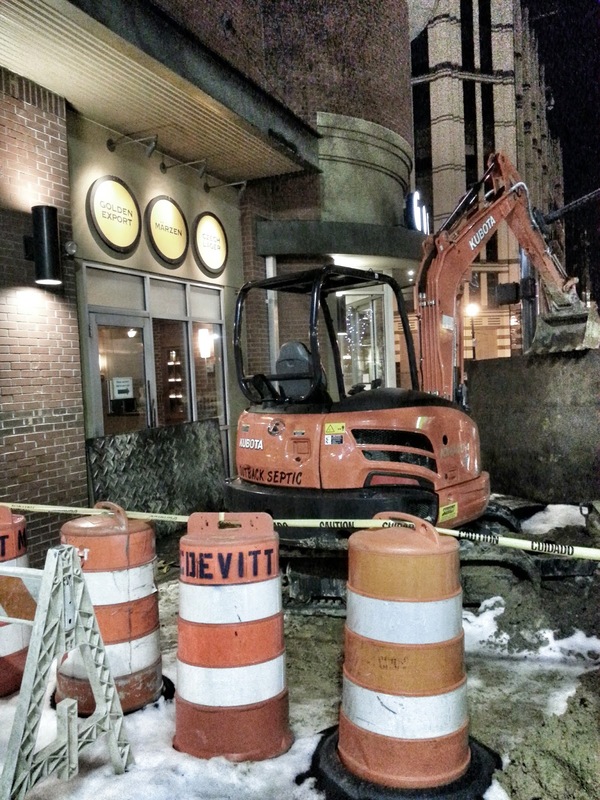 "I don’t think Rockville is moving forward," Onley said. "And if we don’t do something, we’re going to be a ghost town." 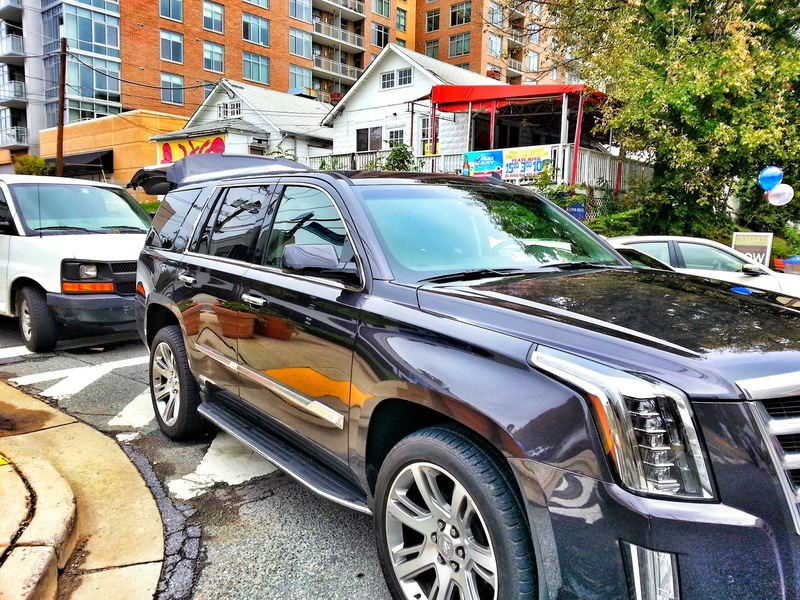 She added she didn't want Rockville residents to have to get in their cars and drive to other places "where people are enjoying life." Newton disputed Onley's characterization of growth and the town center, noting that projects including the Duball towers and KSI have pushed the number of units past the totals provided for in the 2001 Master Plan. 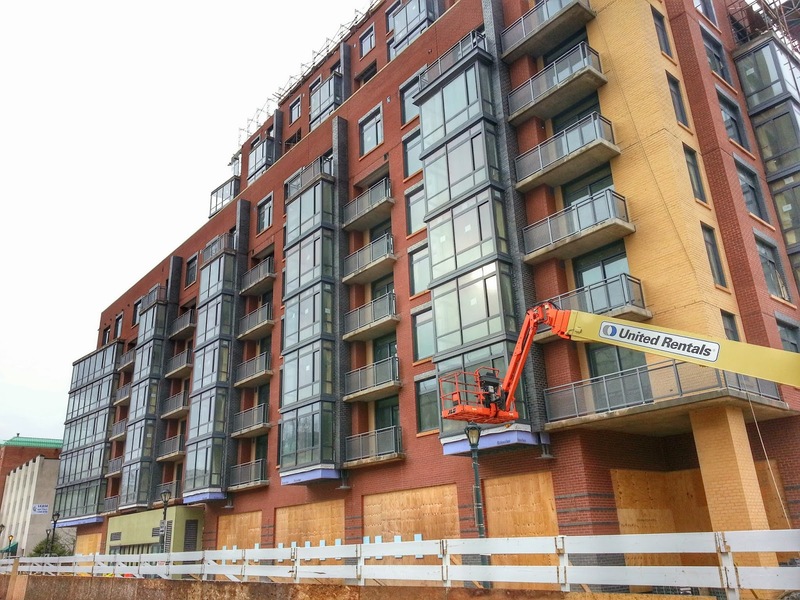 Kettler, JBG and Shelter are currently building retail, restaurant and housing projects north of Rockville Town Square, as well. "We’ve got growth happening in the town center," Newton said. "It is not stagnant, it is not dying, and it is not going to be a wasteland. [But] changing standards, we will no longer have any constraints in place to control that" growth. One likely outcome of increased development in the city will be more portable classrooms on school sites. In an interesting twist from the widespread complaints about portable classrooms in Montgomery County, Moore and Councilmember Beryl Feinberg had praise for the humble "learning cottages." 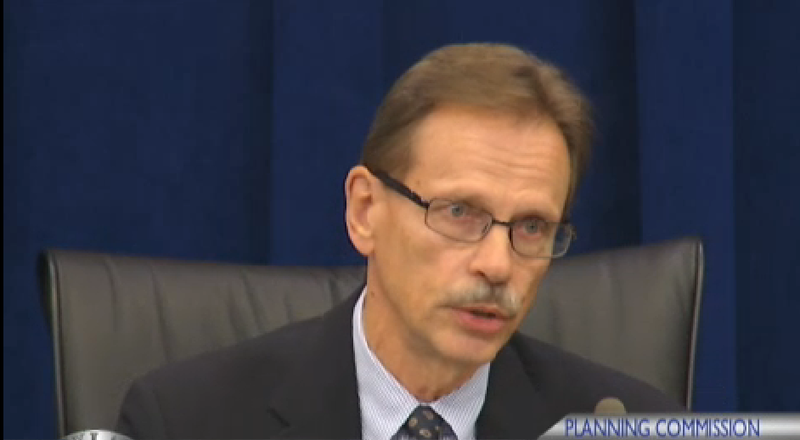 Portables are not "hell on earth," Moore said, noting that 4 of his 6 children have been in portables. Trailer classrooms are "a way to kind of even [growth] out in the short term, so that you don’t have to construct another school," Feinberg said. "I don’t think we should wholesale condemn them." Newton was somewhat incredulous at these assertions. She said "learning cottages" was a term designed to avoid the fact that these classrooms are trailers, and that they take children "out of the learning environment," and pose serious safety and security concerns. "Do we want to put children in trailers?" she asked. "Let’s have a countywide discussion with the stakeholders they are talking about bringing forward," she said, referring to a dialogue being set up by County Councilmember Roger Berliner. "Let’s help the county solve our problem." The Mayor and Council will vote on the proposal this coming Monday, February 9; the meeting begins at 7:00 PM at City Hall. Shoppers at the Twinbrook Safeway are wondering why their favorite cashier was apparently let go by the store. Howard, an energetic and affable employee who brought game show enthusiasm to the checkout line, has been named "The World's Best Cashier" by one fan. You can see him in action in this video. One shopper has written to the company asking for Howard to be rehired, and expressing concern about the decline of the store. "Many of us still shop there ONLY because the cashiers are wonderful people whom we appreciate and like, Howard and Ophelia especially," she wrote. Given the preponderance of glitchy self-checkout machines and unmanned (and un(wo)manned) checkout lines in grocery stores these days, you'd think stores would want to hold on to popular and energetic employees. 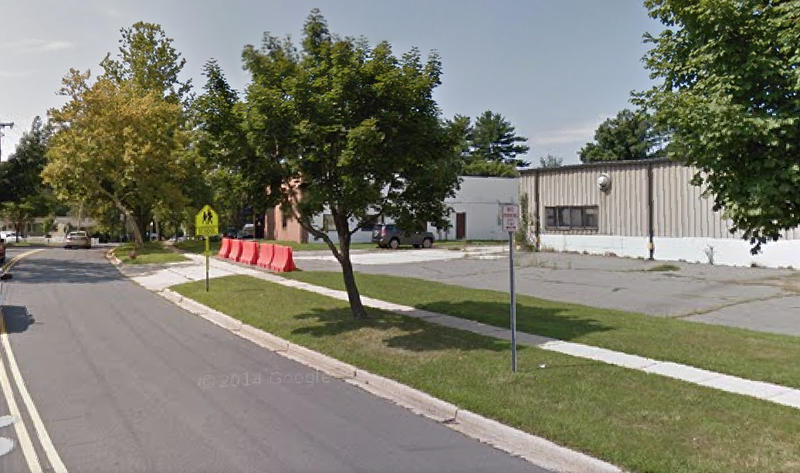 Rockville's Mayor and Council voted 3-2 to ban self storage facilities located within 250' of schools last night, an action that will stop Siena Corporation's already-approved facility at First and Taft Streets in East Rockville. Nearby residents, and parents of children at the adjacent Maryvale Elementary School, have expressed concerns about pedestrian safety, crime, fires and even homeland security concerns, as cited by federal officials. Materials used in the 1993 World Trade Center and 1995 Oklahoma City bombings were kept in self storage units prior to those attacks. Councilmember Tom Moore and Siena attorney Bob Dalrymple were having none of it. Moore has repeatedly asked Council colleagues to specify the perceived dangers, relative to other potential uses of the industrial site. He sought to delay the vote 30-60 days, to allow Siena to enter negotiations with residents to attempt a compromise. Dalrymple was eager to do so. He implored the Mayor and Council to bring the citizens to the negotiating table, tell them to act like adults, and "work this damn thing out." back on the table again. But only Councilmember Julie Palakovich Carr was willing to support Moore's work group proposal. The substitute motion failed 3-2. "This is where you lose me," Councilmember Virginia Onley said to Moore. She said the city is always free to participate in negotiations between an applicant and residents, but that it is not the city's place to create the group, or force residents to negotiate. Mayor Bridget Donnell Newton said, "it is not up to the city" to compel residents to enter negotiations. "We're not going to roll over," Dalrymple answered, reversing his earlier claim. At times, the vote took on the trappings of a public hearing. Residents testified that Siena has been "kicked out" of at least two communities where they had sought to build facilities, and that they had not been forthcoming about fire and crime incidents at their properties. "If you had done your homework, you would know this as well," one said to Moore. East Rockville resident Kashi Way said Dalrymple's sudden interest in negotiations was "a stalling tactic," noting that Siena could have arranged such negotiations weeks or months ago. "They had our addresses, they know where we live," Way said. Dalrymple argued that there were really only 3 residents opposing the facility. "It's not just 3 people," Newton countered, noting the large number of petition signatures gathered, and turnout at public hearings in opposition to the proposal. The ZTA passed 3-2, with Newton, Onley and Councilmember Beryl Feinberg voting for, and Moore and Palakovich Carr opposed. 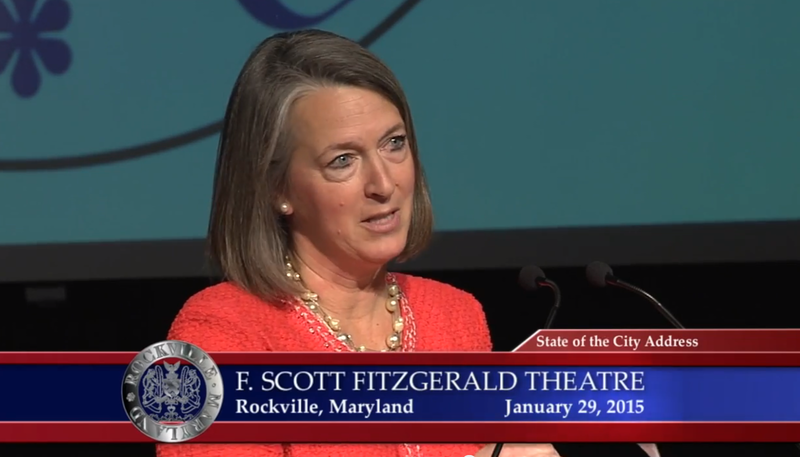 Mayor Bridget Donnell Newton delivered her State of the City Address last Thursday evening at the F. Scott Fitzgerald Theater, with the theme, Rockville: The City That Energizes. Her address touched on what's going right in Rockville, but also floated two ambitious proposals to improve the city in the future. "The state of the city is strong," Newton proclaimed, and emphasized citizen involvement, city businesses, sound financial management, and charitable volunteerism as sources of that strength. 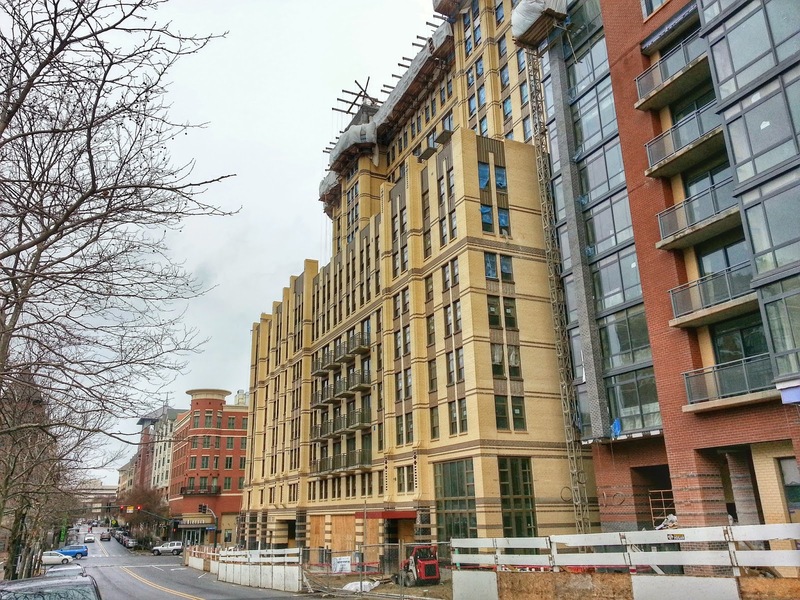 She said the Rockville Volunteer Fire Department will add a Pierce Arrow Pumper in a few months, and that the new Cambria Suites hotel will open in town center this spring. 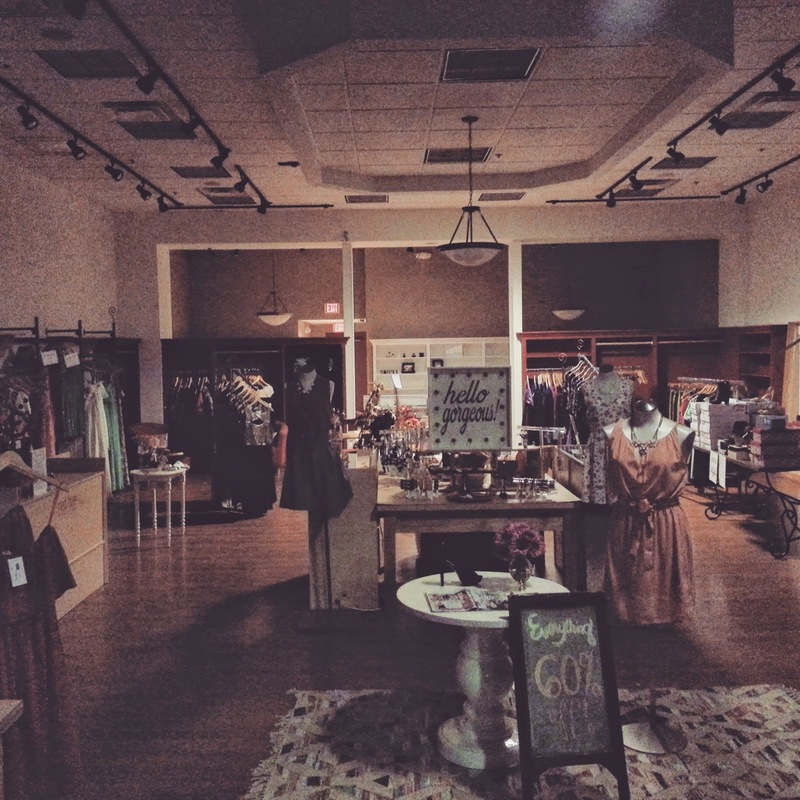 The latter is expected to boost tourist spending at town center businesses. "We have a robust business community, which, in turn, supports the Rockville community," Newton said, underlining the county seat's diversity as a "multiethnic, multicultural, and multigenerational" city. Referring to the city's strong finances, Newton noted that in FY2014, Rockville "finished with reserves in excess of 22% of next year's revenues." "We haven't raised our property tax in 7 years," she said. She thanked the city's more than 1000 volunteers "who never seem to sleep," serving on Boards and Commissions, and at facilities and programs like the Rockville Senior Center. She reported the city's holiday drive raised $70,000 in cash, food and gift cards. In addition, Mansfield Kaseman Health Clinic served 2,096 patients last year. Newton described Rockville's many neighborhood and civic associations as "the backbone" of the city. In regards to economic development and jobs, the Mayor said that Rockville enjoys the "lowest unemployment rate in Maryland, just 4.4%." Referring to large scale redevelopment expected along MD Route 355 in the coming decades, she said "move over Potomac, here comes the Rockville Pike Plan." Newton's speech also contained a pair of major proposals. 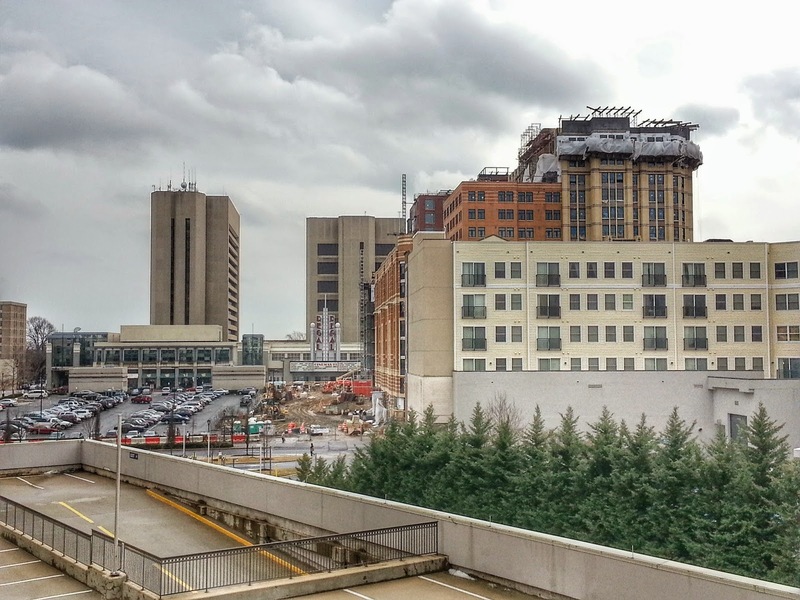 The first and most ambitious, which had its genesis in the 1990s Imagine Rockville discussions, is to bury Rockville Pike where it passes the town center and Rockville Metro station. This would create public and green park space at the existing surface level, with the highway running beneath it. 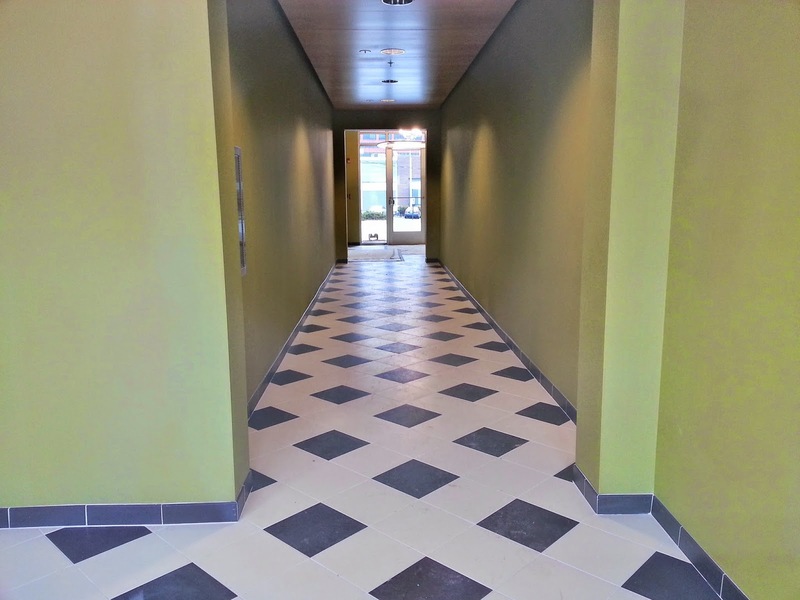 She said that would provide a safer passage for residents of East Rockville to the town center, and create green space that would again give Hometown Holidays room to be something bigger than the street festival it has shrunk to. "Think of it as our own Dupont Circle," she said. Citing Klyde Warren Park in Dallas, Boston's Big Dig, and Portland's Harbor Drive as examples, she said her proposal could provide a similar boost to economic development, health and the environment, and quality of life in the city. If such a plan could be advanced, it would give Newton a legacy project similar to that of past mayors like Doug Duncan (Rockville Mall demolition and redevelopment) and Larry Giammo (Rockville Town Square). She acknowledged it would be an expensive proposition. The second big idea floated in Newton's address was transforming the "blighted" Montgomery County Public Schools property on Stonestreet Avenue into a mixed-income, owner-occupied townhome development. Newton envisions turning a space known for "tractor trailers...sitting there filled with old desks and old books" into "brownstones fronting Stonestreet, with garages and yards behind," providing needed affordable housing, while improving the environment for existing residents. 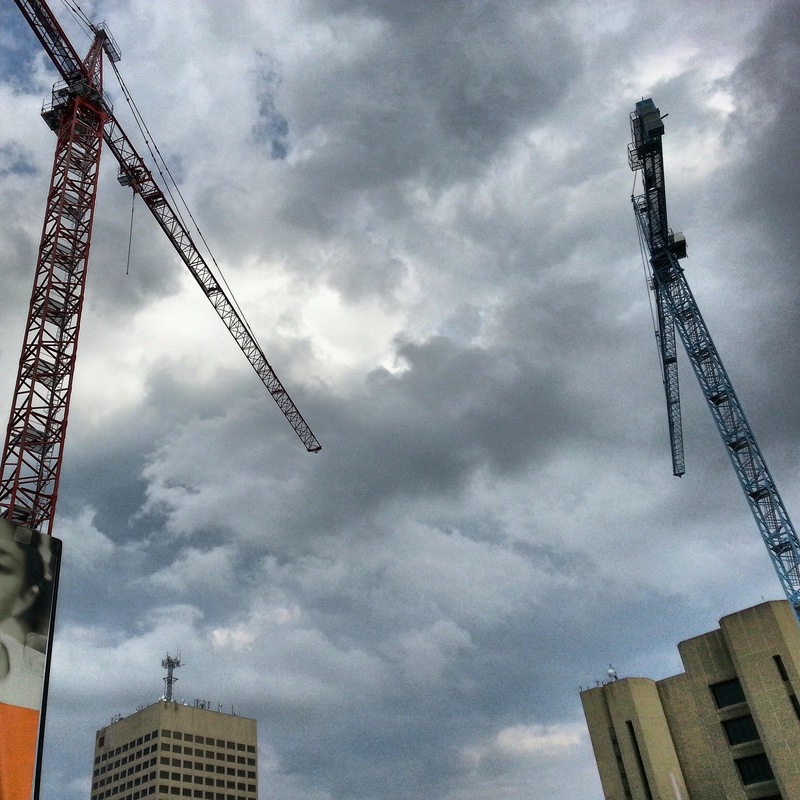 She suggested the redevelopment could be facilitated and financed by a public-private partnership. Citing the contentious public hearings recently held on the proposal to loosen school overcrowding standards in the city's Adequate Public Facilities Ordinance, Newton said, "People want a vibrant city. They don't want to further overburden their schools." She argued that the city needs to find new solutions to overcrowding that don't involve weakening the APFS. Among possible answers, she pointed to acquisition of the surplus of vacant office space in the county, requiring developers to pay more for school construction costs, boundary changes and demanding more property tax money back from the state. Ultimately, she predicted, it will likely require a combination of all of those avenues. Countering arguments that the APFO has stifled new school construction in the city, Newton thanked the school system for the forthcoming new Richard Montgomery Elementary School No. 5, and renovations at Julius West Middle School. "Together, we can do great things," she said.